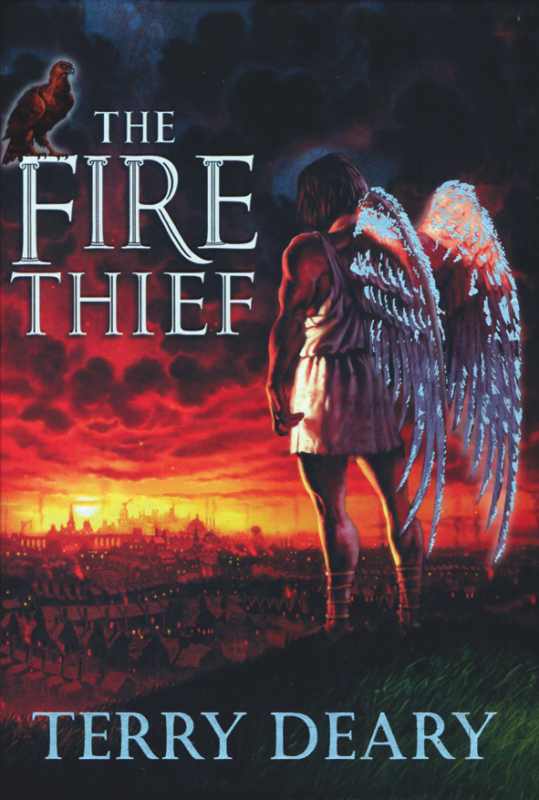 Nostalgia is the primary reason for my picking up The Fire Thief. A massive part of my childhood was spent pouring over whatever Horrible History books I could get my hands on. My collection is almost complete in fact. So when I found out that Terry Deary had strayed into fiction, I couldn't resist taking a look at the result. 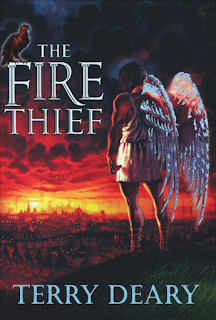 The Fire Thief follows two sets of protagonists. The first protagonist is the Titan Prometheus fresh from his rescue at the hands of Hercules, who makes a deal with Zeus: in exchange for a chance of permanent freedom he must find a hero and prove to Zeus that humans deserve the knowledge of fire. If he uses his godly powers, however, he runs the risk of being discovered by the eagle and being destroyed forever. The second protagonist is Jim, a young thief in Victorian England who is about to embark on what will be his last confidence trick. I am of the belief that there are two kinds of children's book. There are those that are aimed at children but have appeal to those of any age, and then there are those aimed at children and only really appreciated by the target audience. I feel that The Fire Thief is firmly in the latter camp. While I can't point at any one thing and say that it's badly written or poorly considered, I couldn't help but be intensely conscious that I was at least a decade older than the intended audience. It leaves me in a weird situation. On the one hand, I find the characterisation a tad too simple for my tastes, the narrative brings attention to itself as a narrative too often for my liking, and I'm a little wary of footnotes these days. On the other hand, this is not aimed at my age bracket whatsoever and I can well imagine that the issues that I have with the novel aren't things that would necessarily register as faults.